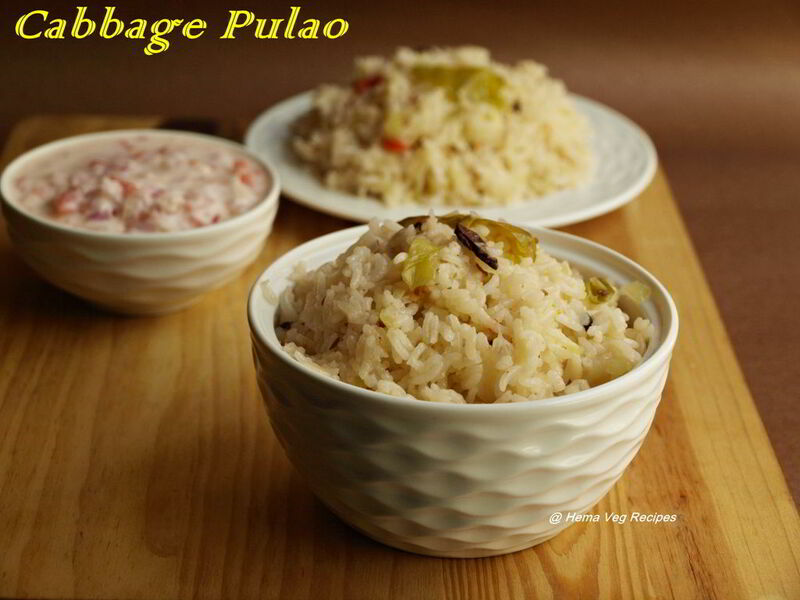 Cabbage Pulav is not very common but tastes surprisingly good and that is even if Raita is not available. But in my family all love raita so I usually prepare it. 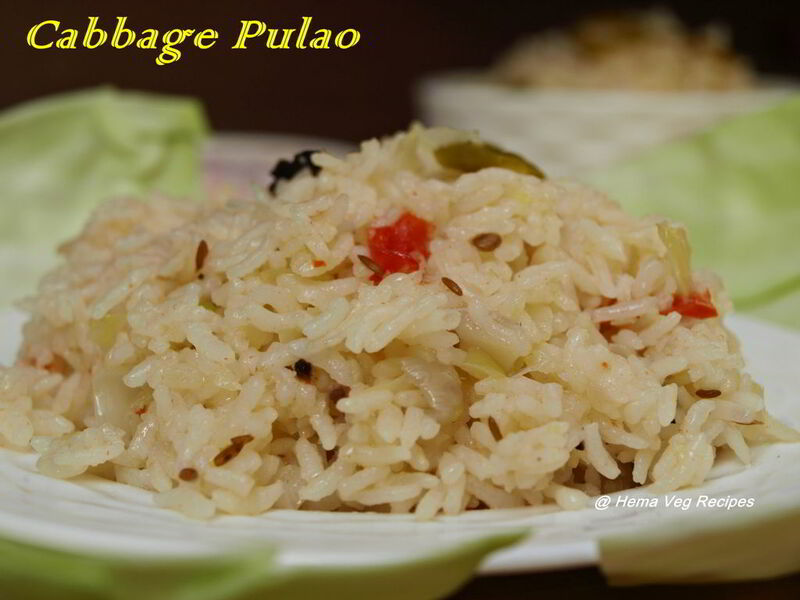 I always love to have this Cabbage Pulao without Raita. 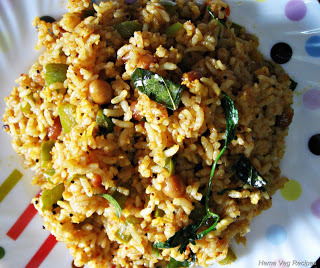 This easy to prepare rice dish takes about 30 mins to prepare and can be had for dinner/lunch. 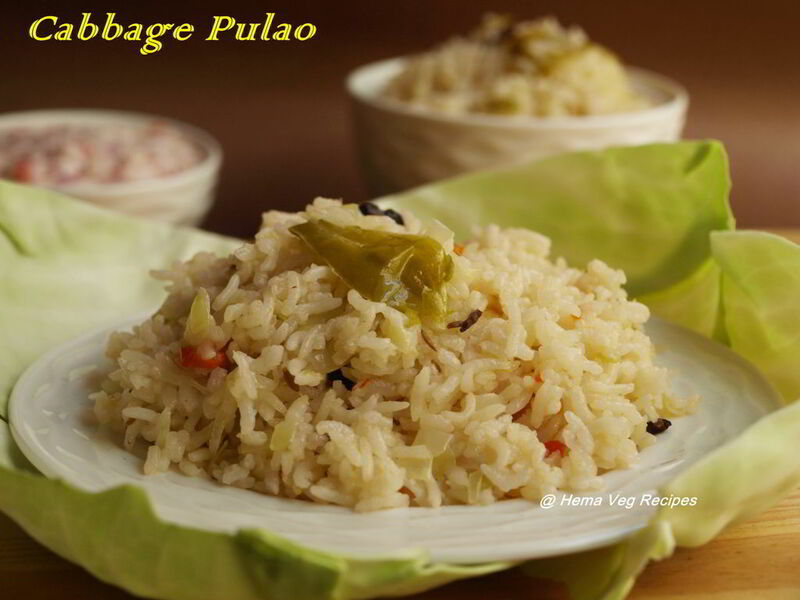 Compared to your regular Pulav, Cabbage Pulao requires less ingredients and less masala/spice to make it taste good. 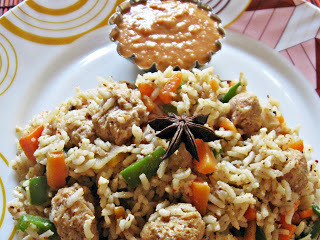 I got this rice recipe from my cousin Ramya. I tried it and it was received well by my family. 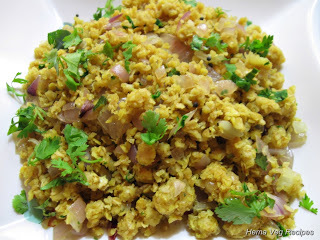 Recipe is simple, Just add whole masalas to the Oil, add Chillies followed by Onions and Ginger Garlic Paste. Then add Cabbage and Tomatoes and Salt. Mix with Water and cook in a pressure cooker for 3 whistles and once pressure releases finally add Lemon Juice. 1. Wash Rice with water. Pour out the water completely – rice should stay as dry as possible. 2. Crush or pound Cinnamon or Dalchini, Cloves, Cardamom and Pepper. Keep aside. Heat Oil in a cooker container. 3. Add Jeera. 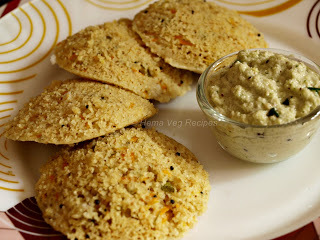 Once the Jeera seeds splutter, add crushed ingredients from step 2 and fry for a minute. 4. 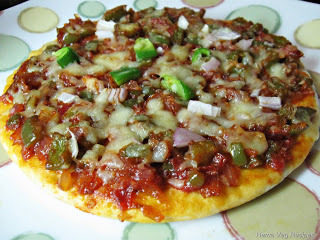 Now add chopped Onions and Green Chillies and fry for a min. Fry until the Onions turn to translucent. 5. At this stage, add Ginger Garlic paste and fry till the Onions are cooked well. 6. Add Cabbage, sugar and fry for 2-3 minutes. 7. Add Tomato and cook them until they turn soft. 8. 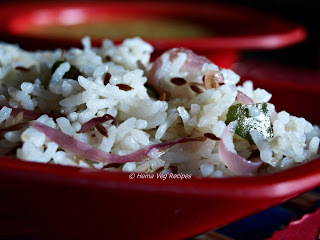 Add washed and drained Rice to the cooker container (with contents from step 3 above) and fry for a min. Now add 2 cups of water to the mixture and stir well. 9. Then add Salt and mix properly. Close the pressure cooker lid and allow the contents to cook. When you hear the 3 cooker whistles, switch to low flame and continue to heat for about 2 minutes. Then switch off the flame and allow the pressure of the cooker to ease. 10. 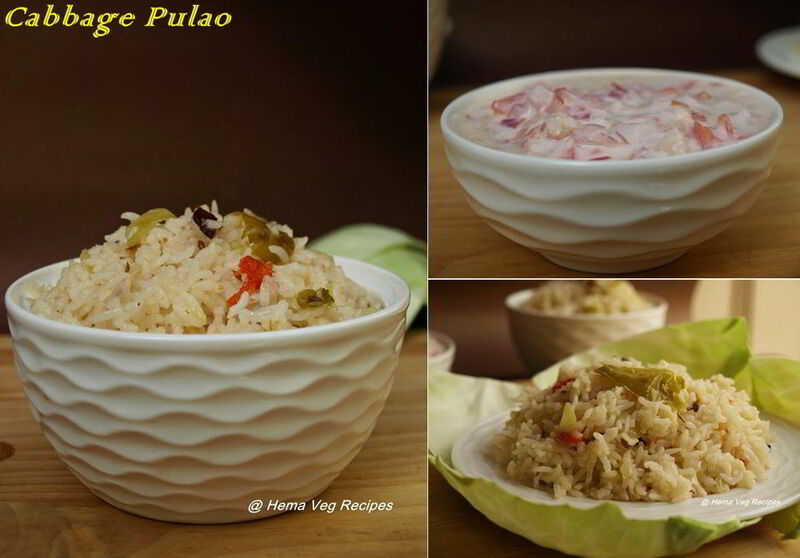 Open the cooker lid, leave it open for 2 min and then add Lemon Juice to the Pulav/Pulao. Mix well. 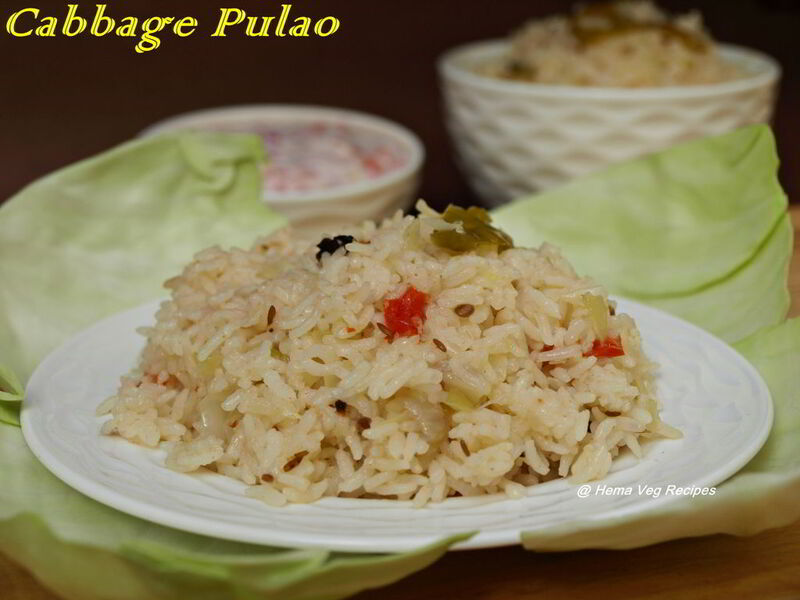 Cabbage Pulav/Pulao is now ready to serve. 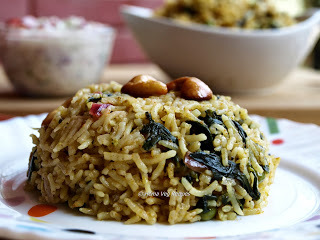 Note: For Cabbage Pulao I have not used Turmeric powder, hence you can see that the Pulav color is creamish. 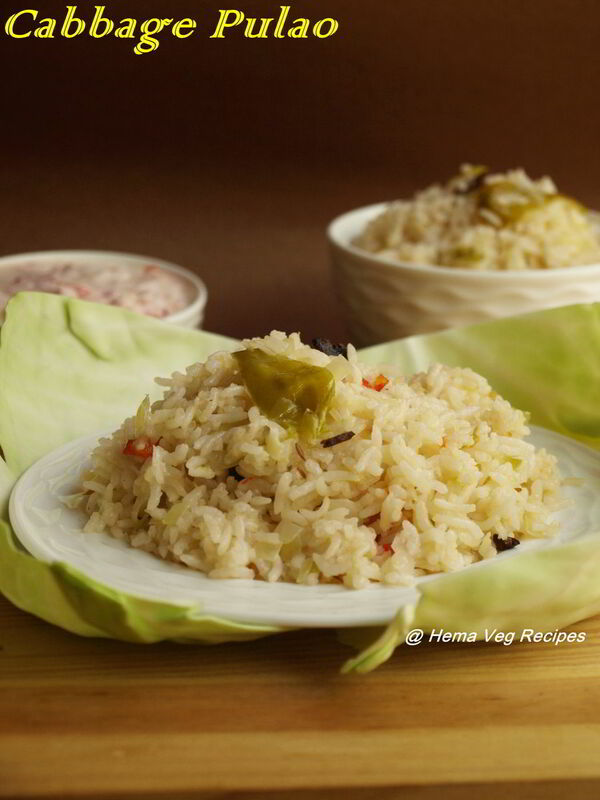 You can try adding Turmeric Powder to this rice dish. Swathi – Thanks for pointing this out. 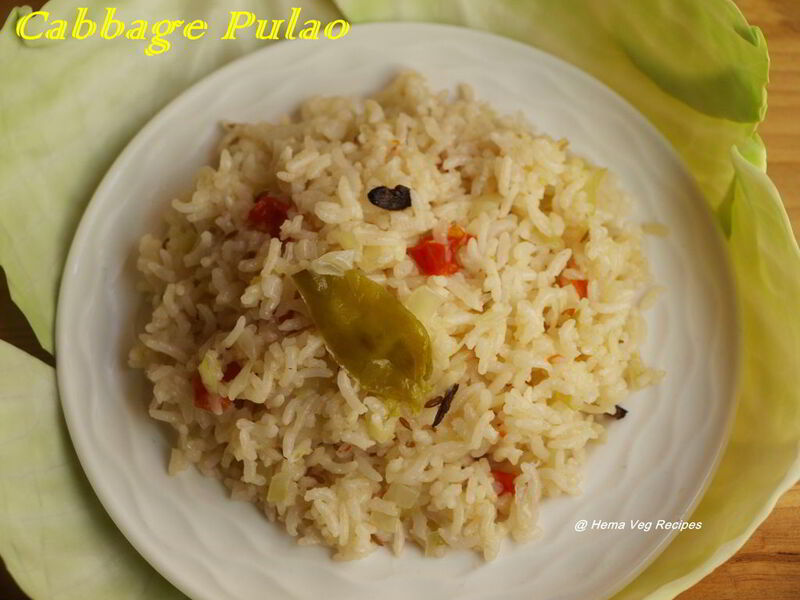 I have updated the Cabbage Pulav/Pulao recipe for the information you asked for (see Step 4). If you are using Basmati rice, use 1 cup of water to 1 cup of rice. 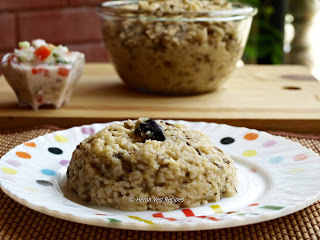 If you are using regular rice like Sona Masoori, use 2 cups of water for 1 cup of rice. Let me know how it comes out. Thanks alot…Hema…will try during next week. 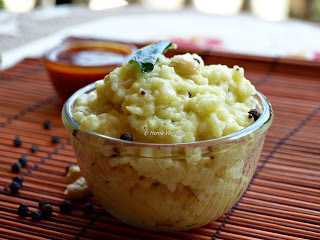 Hi Hema….nanu Swathi….last time nim blog ge reply hakidde ( cabbage pulav). 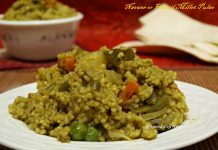 Ivattu alle reply hakoke try madde agirlilla.adikke profile search madi barita iddene… finally ivattu dinner ge madidde….super agittu….ishta aytu…next time swalpa batani (peas) haki madbekoonta iddene hegagotte anta gotilla. ivattu omme ankonde hakoke but beda recipi idda hage first madona ankonde. nice one…. Happy to see ur reply Swathi. Ok, nanu check madithini yake comment bareyoke agtha illa antha. Try madi nodi peas haki hege barutte antha. Nanna cousins ella try madidru tumba chennagide antha helidru. Matte enenu try madidri? 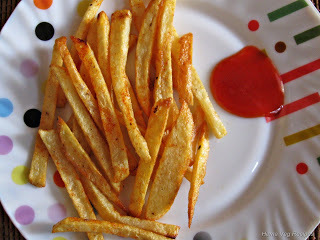 Try my recipes, if u like write the comment. Thanks once again. 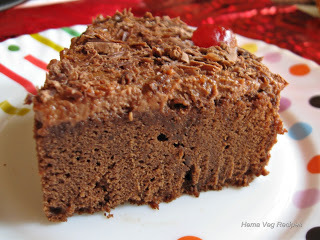 Hello Hema, thank you for this tasty recipe..I made just now and it is soo delicious! Anupama – Happy for you. Thanks for letting me know! Great dishes Hema. 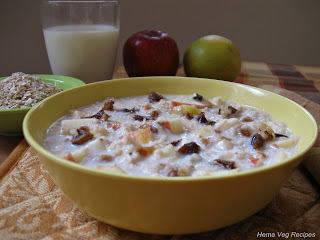 You are including Kannada names for the ingredients which I liked more. I am learning more dishes with this site. Thanks. Definately I will try. 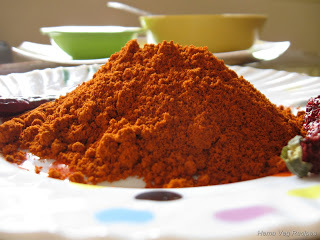 Is adding sugar is compulsory or our wish ? . Started trying the dishes from your blog. 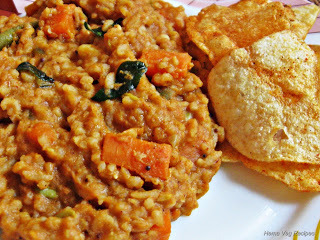 It looks really interesting, today morning we tried Oats Upuma (first time 90 % ok), the next is Cabbage Pulav. Will update the outcome. It would be good if you add more on Veg curries for Lunch / Main course. this is new for me. i am going to try now. This dish was very good, you have done all of us a great favour… god bless your talent for cooking and sharing. Thank you Abimanyu. 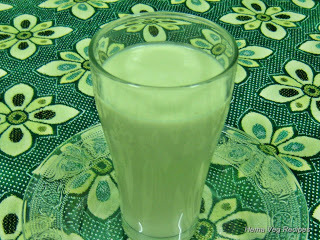 I will try to post more recipes in coming days that will help everyone who visit my blog. 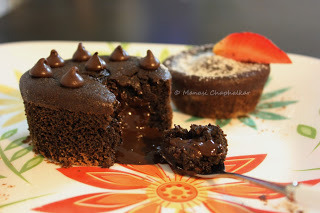 The comments helps inspiring me to do more recipes and posting it in my blog. Hi hema thank u first. 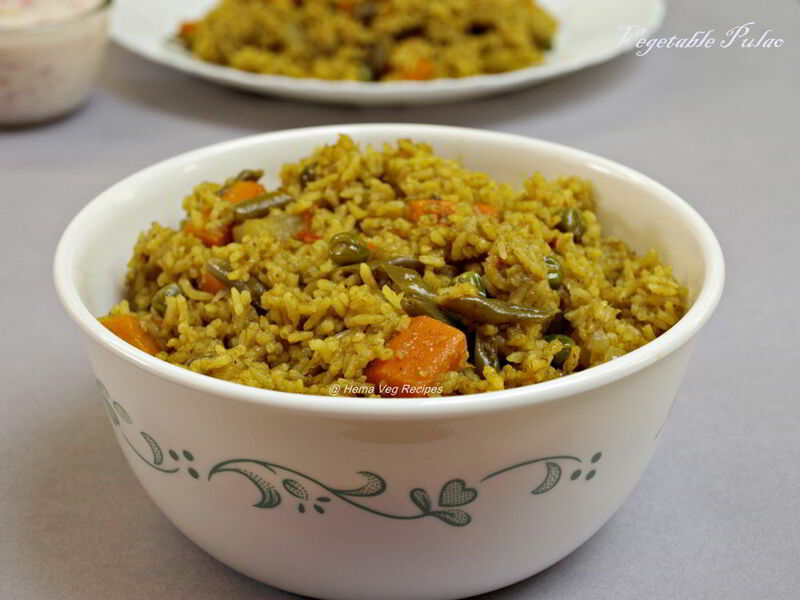 Bcoz of u I started to cook differently,one day I felt bored and cabbage only there at home so I googled cabbage pulav I got Ur receipe,then I tried it takes only less time and taste yummy.bcoz of u I got so many appreciation that day.after that I tried carrot pulao,onion pulao like that.all r Come well.thank you.